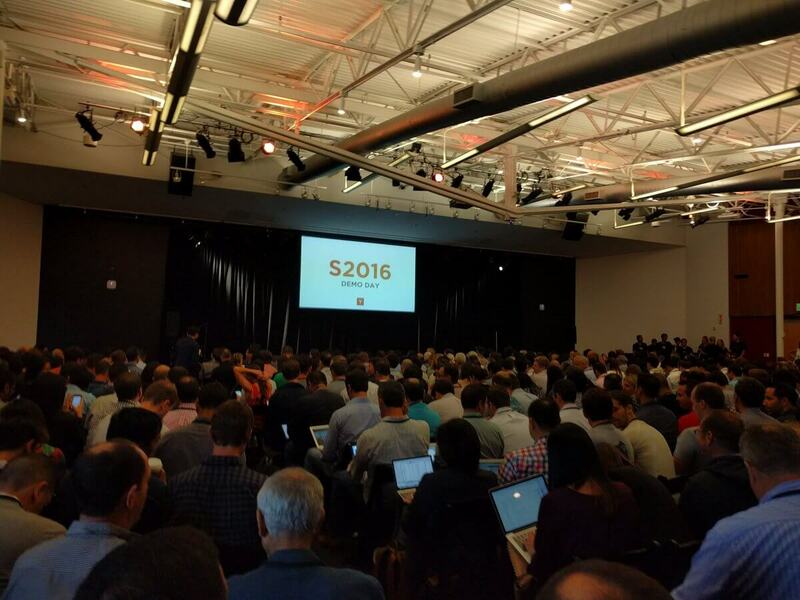 Yesterday and today, Y Combinator’s Demo Day for the Summer 2016 batch is taking place at the Computer History Museum in Mountain View, California. The startups will pitch to an audience of Venture Capitalists, Angel Investors, and decision makers at large tech companies, in hopes of closing their next round of funding. This batch of companies includes products and services ranging from a “TurboTax for immigration”, drone collision avoidance software, and algorithmic litigation financing to a “job applications as a service”, an API for human labor, layaway for airline tickets, and more. As of today, 93 companies have been announced and you can login to Mattermark to see the complete list. We ranked this batch of Y Combinator companies and found the following 25 with the highest Mattermark Growth Score. Revlo is a fan engagement platform for broadcasters on Twitch. Mattermark Growth Score: 1,051. OMG Digital is creating digital editorial brands for African millennials. “BuzzFeed for Africa”. Mattermark Growth Score: 910. Polymail powers email as a productivity platform on iOS and Mac. Mattermark Growth Score: 896. The Athletic publishes original sports news available for a $7 a month subscription. Mattermark Growth Score: 870. Scale is an API for human labor. With one line of code, you can deploy a human on-demand to do tasks. Mattermark Growth Score: 851. Coub is an online portal that enables users to create high quality moving images with sound. “YouTube for video clips.” Mattermark Growth Score: 488. MessageBird provides SMS & Voice API’s enabling developers and companies to communicate with any mobile or fixed phone. Mattermark Growth Score: 429. Meesho allows sellers to set up an online shop through its platform and also facilitates sharing on other social media platforms such as WhatsApp, Facebook, Pinterest, amongst others. Mattermark Growth Score: 402. Flex is a more comfortable alternative to tampons, pads and cups available for $20 per month. Mattermark Growth Score: 395. Mentat uses technology to democratize quality career help for everyone and offers “job applications as a service”. Mattermark Growth Score: 384. Yoshi delivers gas to your car so you never have to go to another gas station. Mattermark Growth Score: 369. Curtsy is a members-only app that lets you rent dresses from the fashionistas at your school. Mattermark Growth Score: 359. DevColor is a non-profit organization that aims to maximize the success of Black software engineers. Mattermark Growth Score: 336. Airfordable is payment plans for your airline tickets. Secure your tickets with a deposit upfront and pay the remaining balance in bi-weekly recurring payments before your departure date. Mattermark Growth Score: 314. Innov8 offers co-working spaces in India. Mattermark Growth Score: 306. CoinTent helps publishers to recover revenue lost to ad blockers and by charging consumers a small fee to view an article. Mattermark Growth Score: 300. ZeroDB provides security for Enterprise big data in the cloud. “Encrypted Hadoop Server”. Mattermark Growth Score: 266. Legalist provides data-backed, algorithmic litigation financing. Mattermark Growth Score: 243. People.ai helps businesses manage their sales teams through automated sales coaching and behavioral analytics. “Moneyball for sales”. Mattermark Growth Score: 241. WorkRamp is a business training platform and learning management system that helps people become better at their roles. Mattermark Growth Score: 217. NeoWize utilizes neural networks and adaptive input to help e-commerce sites learn what each individual buyer is looking for and create a better user experience from the first visit. Mattermark Growth Score: 213. LookLive allows users to easily search and purchase apparel from popular TV shows, celebrity events, and music videos. Mattermark Growth Score: 208. SimpleCitizen aims to make applying for a green card as simple as doing your taxes. “TurboTax for immigration”. Mattermark Growth Score: 172. Iris Automation provides a high-tech, computer vision-based collision avoidance systems for industrial drones. Mattermark Growth Score: 172. Wallarm offers a web security solution that protects online businesses from application-level hacker attacks. “Security solution for apps and APIs for modern web”. Mattermark Growth Score: 167. New incubator and accelerator batches are always fun to sift through as you aren’t sure which companies on the list will hit it big, which will be dead in a year’s time, and which will limp along neither dead nor truly alive (in the venture capital sense). The above 25 are notable in that they tripped Mattermark’s radar to date, but given the nascency of all the companies it’s still early innings for every newly launched company. There are a host of other startups to check out, however, including EventGeek which is the near inverse of SeatGeek, Vidcode which wants to diversify the development talent pipeline, and Validere Technologies, which is building a “portable diagnostic device” to help you figure out if the substance you are dealing with is dangerous. That’s a smattering. Also in the mix is Miso, which is working on “domestic help” booking in South Korea, and LendSnap, which wants to help mortgage providers better handle the complex documentation required to facilitate house sales. I don’t have full historical notes regarding how diverse this Y Combinator batch is compared to its predecessors., but at a minimum the companies’ themselves appear to address more than just the needs of Rich Dudes Who Went To Stanford. And that’s good. How does the Y Combinator Summer 2016 batch compare to previous batches? What industries are most represented in the Y Combinator Summer 2016 batch? How many app downloads or website visits do they have? What % of the class has a B2B business model?